London is one of the economic centres of the world and there are few better places to hold a business event in the city than M By Montcalm.Based in the bohemian district of Shoreditch and on the doorstep of London’s Tech City, the hotel provides the perfect fusion of creativity and sophistication. M By Montcalm offers meeting and conference spaces that are designed to encourage and inspire, fostering the same innovative attitudes that have made Tech City the UK’s answer to Silicon Valley. Capable of hosting up to 250 people, the hotel’s business spaces boast state-of-the-art facilities such as plasma screens, audio equipment and complimentary high-speed broadband. A dedicated events team is on hand to plan your event to your specifications, leaving you free to focus on your work. M By Montcalm is also an ideal venue for exhibitions and trade shows, providing a fresh new face among London’s ageing venues. If you simply need a place to rest your head while visiting for business, this is the hotel for you. With easy access to both the London Underground and overground rail services, the whole city is at your fingertips. Luxury comes as standard at M By Montcalm, with a variety of rooms and suites, not to mention restaurants and bars, that are perfect for relaxing in comfort after a day’s hard work. You can even go one step further by indulging in a spot of pampering at M Spa, the hotel’s very own urban sanctuary.Business travellers can take advantage of M by Montcalm’s business bundle, a specially designed package to make your stay as comfortable as possible. While complimentary, super-reliable Wi-Fi goes without saying, you can also take advantage of freshly pressed shirts or blouses, a full English breakfast for two and a bottle of wine in your room on arrival, among other features. 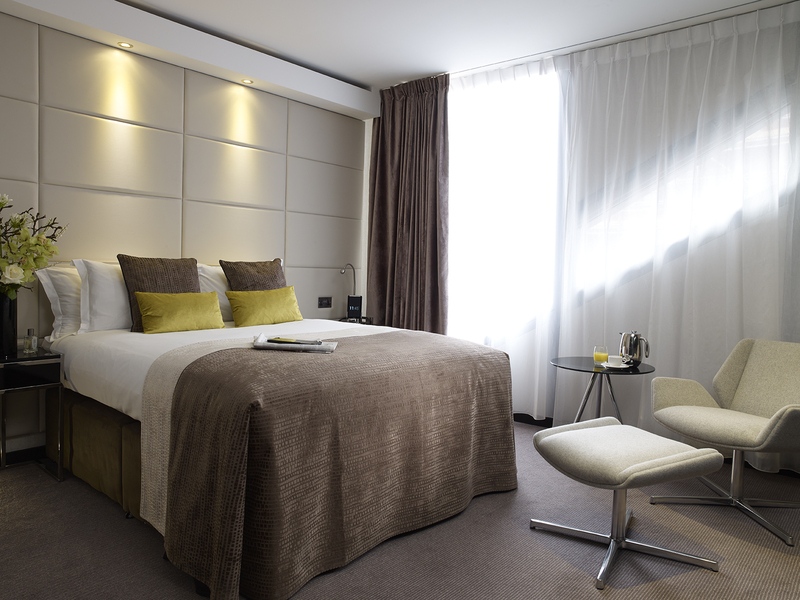 Book your stay at M By Montcalm today.